Blues great Paul Geremia sidelined by stroke | Will You Miss Me When I'm Gone? 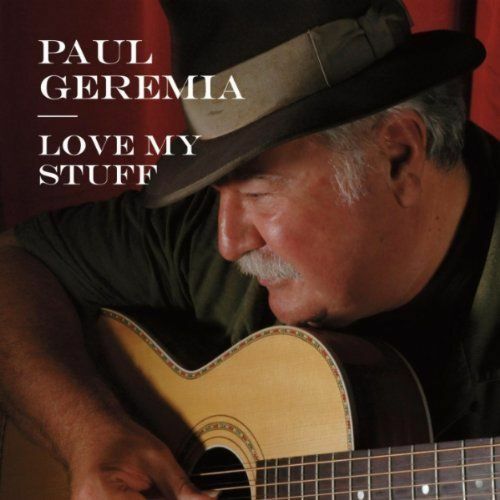 Paul Geremia’s “Love My Stuff,” issued in 2011, is a superb collection of many of his most familiar tunes in live performance. Acoustic blues musician Paul Geremia had a stroke in late June, family and friends confirm. Geremia, who is 70, spent a few days a hospital after he had the stroke the weekend of June 28, and was moved to an Ohio rehab facility. Friends who have spoken with or visited Paul say he seems to be progressing well. He is an amazing guitarist and is considered one of the best country blues fingerpickers on six and twelve-string guitar — acoustic only, he doesn’t record on electric — a soaring harmonica-player, and has a husky soulful voice. He’s shared the stage with Babe Stovall, Yank Rachel,Son House, Skip James, Howlin’ Wolf, and most importantly, Carolina bluesman Pink Anderson, who had something of a career rebirth thanks to Geremia’s efforts. Geremia also absorbed the music of Leadbelly, Percy Mayfield, Charlie Patton, Blind Lemon Jefferson, Robert Johnson, Willie McTell, Scrapper Blackwell, Blind Blake, and many more. He also writes songs that fit neatly into that rich musical niche. “Of course, I didn’t know what Paul’s set would comprise. Lo and behold, the entire set was music we hadn’t heard before–or at least, for a long time–and we’ve heard Paul often. This entry was posted in Music, News and tagged Paul Geremia, stroke, Terri Thal. Bookmark the permalink.